The state of energy dependence makes power generation one of the most important industries. It is also an industry that faces constant amounts of high-abrasion. Coal piping faces intense amounts of abrasion that make them easily susceptible to wearing out. The amount of time of time and money needed to fix a worn-out pipe is costly on several levels. Not only is the labor and replacement an additional expense, but the loss of productivity during the shutdown of operation for the repair incurs another expense. To help prevent the issue of unnecessary and expensive downtime, we provide top of the line overlay pipes and elbows that reduce the effect of abrasion. The presence of these pipes and elbows can rebuild worn equipment and extend the life cycles of your current equipment. Extended life cycles lead to greater efficiency and productivity that will greatly benefit your operation. Our products and services can also help any problems you might encounter with mobile equipment, such as liners and screening equipment. We can also provide services for conveyors that are exposed to high amounts of abrasion. One area that we have been able to assist in recent years is with Marcellus Shale. Whatever your power generation needs may be, we can work with you to make sure that your equipment is outfitted and protected to the best of our abilities. 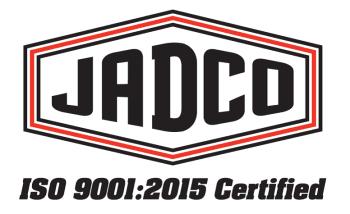 With JADCO overlay pipes, you can rest assured that your equipment is capable of handling the highest level of abrasion and will have a much longer useful life cycle.